"We are thrilled to offer exclusively the controversial comedy, The Interview, to our US and Canadian members beginning this Saturday, Jan. 24 - just thirty days after it debuted in theaters and pay-per-view. Our first original feature film, Crouching Tiger, Hidden Dragon II: The Green Destiny, is now in post production and will debut on August 26 in all of our markets. We expect to open the film on select IMAX screens the same day as its release on Netflix." In line with its on-demand debut, this move marks the shortest window from theatrical to Netflix release for any movie from a major studio. The Interview has earned only $6 million from its small rollout in over 500 independently owned theaters since Christmas day. It is estimated that Sony lost $30 million on the movie due to its unusually release pattern. 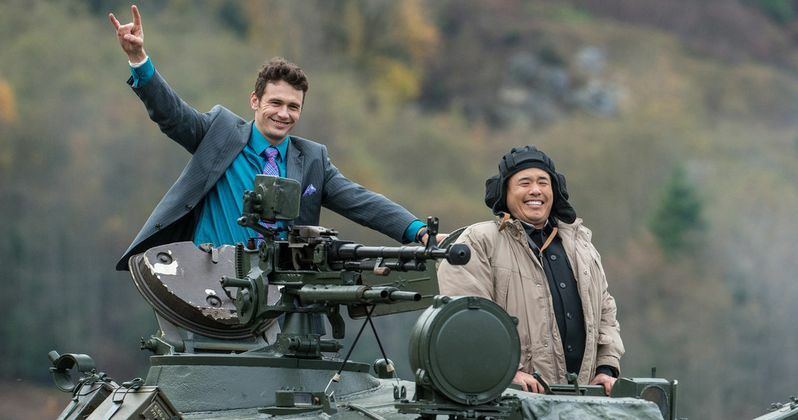 The Interview follows celebrity interviewer Dave Skylark (James Franco) and his producer Aaron Rapoport (Seth Rogen) as they set out to assassinate North Korean leader Kim Jong-un under the guise of a highly publicized interview with the dictator. The Interview comes to Blu-ray and DVD this February.